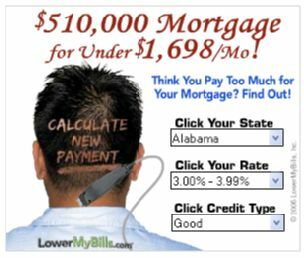 That's not nearly the weirdest lower my mortgage banner. There's one with a pumpkin your cursor becomes a knife and the carving is actually an animation of two people dancing. And there's no reference to the image in the ad. WTF? !